Most people know that cannabis is a flower. And if you didn’t before this, you do now. And if you’ve ever smelled a flower, you know that they emit strong aromas (some great, like lilacs, and some strange like that flower that smells like rotten meat when it blooms). Certain flowers smell better or worse to different people and the odors/flavors (when you smoke it) stimulate the human mind to feel different sensations. And since cannabis is a flower, it has the ability as well, to make us feel a certain way when we smell/smoke it. Why? Because terpenes. Terpenes are what makes flowers smell. There are more than 200 of them found in cannabis, many of which resemble smells that aren’t normally found in nature, such as cheese. Yes, cheese, like the dairy product. You are probably familiar with weed that smells somewhat like the deli at a supermarket. Cheesy strains are some of the strongest and they really sting the nostrils. The strains are uplifting and stimulating, which is quite interesting after getting a whiff. While it may not be an odor that you want to bottle up, the cheese strains make up for it by being very strong. The cause of the cheese smell comes from a number of terpenes in cannabis. They include ethylmethyl acetic acid, isovaleric acid, octanoic acid, (methyl thio) butyrate, and methyl mercaptan. With these terpenes present, cannabis strains can smell slightly dairy-esque, giving off a sweet, almost vanilla scent or go the opposite way and smell like old cheese on a hot day. So while the cheese strains may not be the greatest smelling jar on the shelf, you shouldn’t write them off just because they might not smell great. While mostly sativa dominant, the cheese strains offer indica effects as well, making them a decent choice of hybrid. They have shown to be quite effective as an antidepressant and an anticonvulsant. So be sure to give these strains a chance. 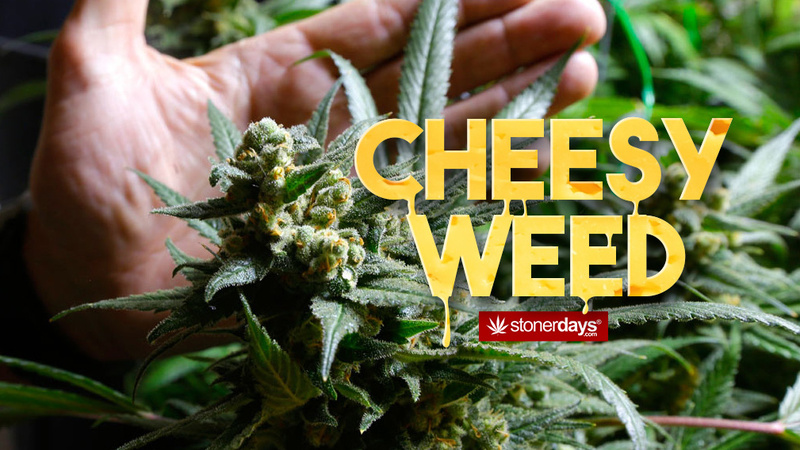 This entry was posted in Featured, Stoner Guide and tagged cheesy weed, marijuana, terpenes.